We’ve selected the best places to stay in or near Whitstable on the Kent coast, including luxury hotels, boutique hotels, budget hotels and pubs with rooms. 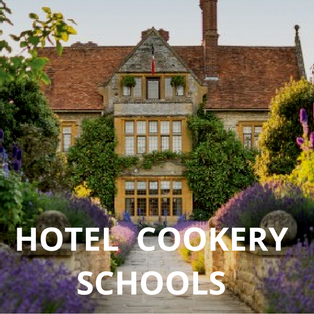 With hotel rates provided by our Booking Partners, it’s easy to check availability and book. For a weekend break in Whitstable, The Marine Hotel has much to offer. The bedrooms are generous in size and tastefully decorated. Many come with sea views. Some have their own private balcony so you can sit outside in the summer. The hotel’s dog friendly policy means that you can enjoy the wonderful coastal walks in the area without leaving your pet at home. Stay at the recently refurbished Hotel Continental and wake up with a view of the sea. This pleasant, New England style hotel, boasts a fabulous location overlooking the beach. It’s just a short walk along the boarded promenade into the centre of Whitstable with its seafood shacks and quirky shops. Bedrooms are on the cosy side. Breakfast is served as a help yourself buffet. Rooms from £86 a night. For a really quirky place to stay in Whitstable it doesn’t get much better than this. Leave all your troubles behind and hunker down for the night in one of these restored fisherman’s huts right on Whitstable beach. They’re over 150 years old. Soak up the sunset and the sea views. Some are dog friendly. Huts are operated by the Hotel Continental. Read our Expert Review. Huts from £85 a night. For a stay in a peaceful location just outside Whitstable, check into The Crescent Turner hotel. Perched high on Wraik Hill, you’ll be treated to wonderful sweeping views of the Kent coast. The contemporary hotel has got the feel of a cosy home but comes with an added touch of glamour. There are 16 smart bedrooms with luxurious bathrooms. The Retro B& B is a handy base from which to explore the city of Canterbury with its historic cathedral. It’s just a 10-minute walk in to town. 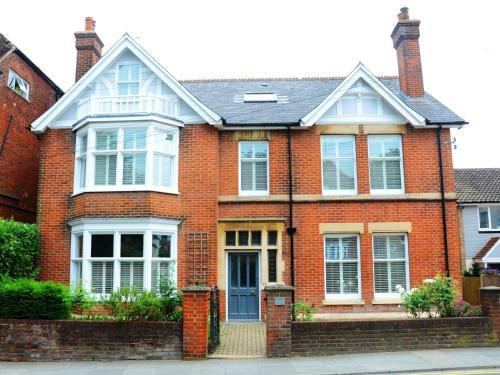 The Edwardian double-fronted house has 6 themed ensuite bedrooms. Kids will love the Union Room – a family room with London bus bunk beds. Free parking is available via a narrow driveway. Sister to the award winning Minster restaurant in Ramsgate, The Corner House, in Canterbury, has got 3 delightful guest bedrooms. It’s the second venture of chef, Matt Sworder, who trained with Gordon Ramsay. Dating back to the 1570s, the building is delightfully quirky. Bedrooms are decorated in Farrow & Ball’s calming colours and all have low ceilings and wooden beams. With top notch food and Canterbury Cathedral just 400 metres away, it’s a popular place to stay. With an enviable location within the city walls, ABode Canterbury caters for both business and leisure travellers. There are 5 types of room to suit each budget from ‘Comfortable’ to top of the range ‘Fabulous’. Each one comes with tea and coffee making facilities. Before dining in the hotel’s County restaurant, guests can enjoy a cocktail in the timber beamed Champagne bar or a pint in the Old Brewery Tavern. Rooms from £69 a night. A unique place to stay inside the grounds of Canterbury cathedral. Modern conference centre chic is the trade off for having stunning cathedral views and the lovely gardens to yourself once the tourists have gone home. Rooms are compact but clean and comfortable. There’s no bar or restaurant for lunch and evening meals but the quaint streets of Canterbury are full of interesting places to eat and drink. Rooms from £87 a night. After a day exploring historic Canterbury, relax with a drink by the roaring fire in this friendly local pub. The Millers Arms has been serving mill workers since 1826. The pub has 12 mostly compact bedrooms all with ensuite bathrooms. The family room on the second floor has cathedral views. Expect standard pub food – burgers, ham and eggs and cod and chips coated in Shepherd Neame ale crispy batter. Affordable accommodation in a convenient location. 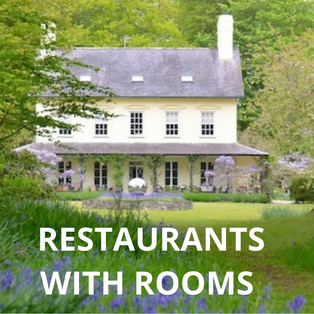 Beautiful walks, contemporary style bedrooms (named after culinary heroes), and tasty gastro pub food. The Duke William is a perfect countryside retreat after a day exploring the Garden of England. Historic Canterbury is nearby and the popular seaside town of Whitstable is a 13-mile drive away. 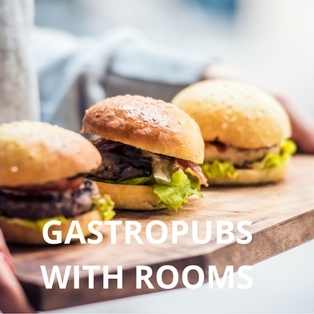 The pub is owned by Mark Sargeant, ex-right hand man to Gordon Ramsay and owner of the award winning restaurant, Rocksalt, in Folkestone which also has rooms. The Botany Bay hotel near Broadstairs is owned by the historic Shepherd Neame brewery so you’ll find a great selection of their Kentish ales in the bar. The hotel’s cliff top location gives guests in superior and feature rooms wonderful sea views. Some are dog friendly, too. On the menu in the restaurant are local fish dishes including Hythe Bay steamed mussels and British crab and crayfish linguine. Rooms from £56 a night. Oozing with stylish décor, this gorgeous Georgian boutique seaside hotel was once a wreck that has been lovingly restored by its current owners. You may have seen it being transformed with the help of Alex Polizzi in The Hotel Inspector. Bedrooms are spacious, high ceilinged and elegantly furnished. Some come with wonderful harbour and sea views. The good news – it’s just 76 minutes by train from London’s Kings Cross. Overlooking Margate Sands, this contemporary boutique hotel offers style and glamour by the sea. Bedrooms come with king or super-king sized beds and sleek bathrooms. Some have their own terraces with expansive sea views. Turner Contemporary is a 5-minute walk from the hotel. Venture further afield, along the Kent coast, to the quirky seaside resort of Whitstable (19 miles away). A hidden gem in the Kent countryside. If you’re looking for a peaceful base from which to explore towns such as Whitstable and Canterbury, stay at Great Selson Bed & Breakfast. This historic house, an early Dutch style Manor House, has two delightful guest bedrooms. Each one is light and spacious and comes with a bath (not shower). The house is surrounded by pretty gardens and well kept grounds. The Aga cooked breakfast served with their own freshly laid eggs and apple juice from the farm next door. Rocksalt is chef, Mark Sargeant’s, waterside restaurant and bar in Folkestone where every table has a harbour view thanks to a wrap around floor-to-ceiling glass wall. Just a short walk away, overlooking the harbour, are 4 boutique rooms situated in the upper floors of a newly renovated house. Rocksalt Rooms are loft-style with bare red-brick walls, wet rooms and original antique beds. The cathedral city of Canterbury is a 19-mile drive away. Whitstable, Kent’s popular seaside resort can be reached in 45 minutes by car.